Patent Prosecution Strategy: Negative Claim Limitation Sounds Positive Now in Patents! First of all, let me shed some light on what a Negative claim limitation is? It is a limitation added solely to exclude a few elements of the invention, or in other words, to mention those elements which are not covered in the claim. This is generally followed to mark the specific distinction from the prior art. Example – The process is carried out using component X and component Y, without using component Z. Claim construction is a crucial part of a patent, especially if it goes to litigation. In a court, each word in claims can be argued, particularly the ones that focus around novelty disclosing limitations. As you never know which limitation can turn out to be a patent killer, hence, patent practitioners have always been critical of these. Traditionally, applicants tend to favor positive limitations in claim construction in place of negative ones. It is because of a notion that a patent discloses something new that it can offer rather than what it cannot. This for a long time sounded fair enough and acceptable in the patent process. In the past few years though, the world has witnessed an overall increase in the filing of patents. This, further, has made it arduous for an applicant to prove the novelty of his patent in a court. Moreover, history is full of cases where a minor claim element caused the death of a patent. And a look at these lawsuits pinpoints the little scope of flexibility that exists in claim construction. That said, today applicants have become too careful than ever in claiming inventions. They are adopting versatile ways to avoid prior art. In such a time, negative limitation seems to be a ray of hope as it offers a little flexibility to an applicant. A tidbit from the author: Like negative claim limitations, there is another strategy to get a patent application through an examiner’s desk. This unconventional strategy involves studying an examiner’s behavior. Here is a free guide in which we have explained how in 5 Steps an attorney can get an application granted by studying an examiner’s behavior: Click here to download. How Negative Limitation helped through IPR Proceedings? There are few cases that prove negative limitations to be acceptable under some circumstances. These limitations also helped applicants in coming out of lawsuits. Inphi Corporation v, Netlist, Inc, for example, is one such case. The case targeted patent US 7,532,537, owned by Netlist, Inc (“Netlist” henceforth). Inphi Corporation (“Inphi” henceforth) filed a request for inter partes reexamination for this patent. During the proceedings, the examiner cited a few prior art and rejected claims 1-19, 12-31, and 34-44. To overcome the rejections, Netlist amended the claims by adding a negative limitation and gained the patent. US’537 relates to computer memory sections comprising of a PCB, on which memory chips are placed. 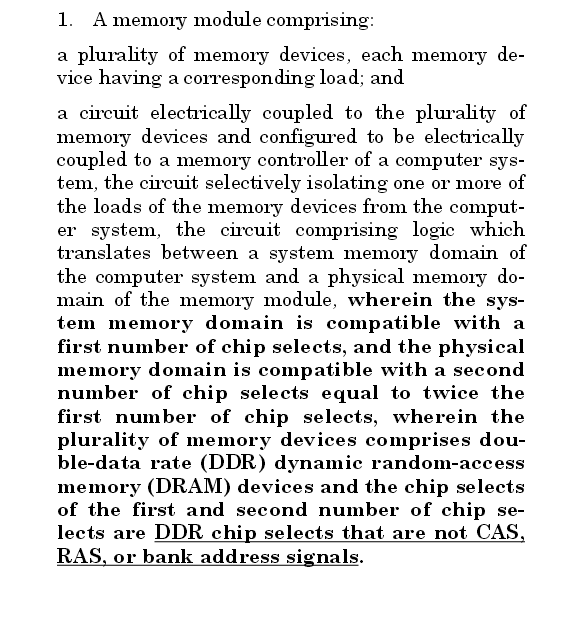 Multiple memory device types, including random-access memory (RAM), dynamic random-access memory (DRAM), synchronous DRAM (SDRAM), and double-data-rate DRAM (e.g., SDR, DDR-1, DDR-2, DDR-3) are supported by the specification. There can be various controls (chip selects) to enable a chip. Inphi then appealed to the Patent Trial and Appeal Board (PTAB), alleging the negative limitation not to be supported by the description. Apparently, this appeal got rejected, and Inphi requested for a rehearing in the Federal Circuit. This case underscores the significance of a written description and implies that there is nothing inherently risky about a negative limitation. It can be introduced if the specification is in full support. In fact, in view of Santarus as well, the patent just needs to comply with the essentials of § 112, paragraph 1. The applicant can go for a number of ways to claim these limitations as long as the description can satisfy them. Normally, it has been seen that argument on description arises when there is an attempt to make claims narrower, in order to exempt lawsuits. It has also been observed that the Federal Circuit is becoming more rigid in proceedings under these situations. Patent practitioners, thus, have to change their practices with time as patent prosecution is changing its direction too. An explicit statement of the negative limitation in the specification of the patent. Though, there is a catch. A practitioner here should draw a fine demarcation line while drafting the description of a patent that has claim limitations in it. The description should focus on explaining the invention rather than its limitation. One should never forget that a patent gets granted because of the presence of the novel element, not because of the absence of some. Related Strategy: How To Get High-Quality Patent Applications Under Fixed Budget? 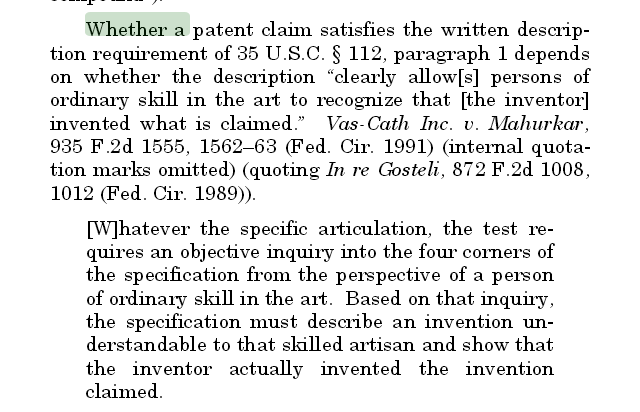 Negative Claim Limitation Sounds Positive Now in Patents!! Is Your Patent Prosecution Strategy Smart Enough? Patent Examiner Analytics Can Save Your Time and Money – Here’s How!